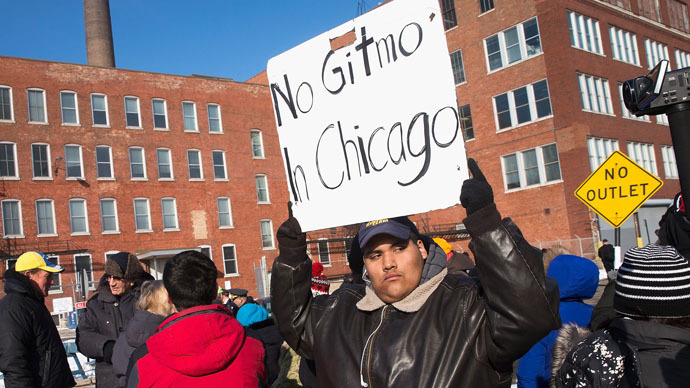 Activists in Chicago are demanding a thorough investigation into Homan Square, a local detention facility which is being compared to a CIA black site. Several dozen protested on Saturday after police denied the accusations. Organized by Anonymous, Occupy, and Black Lives Matter, as well as a number of other groups, the 'Shut Down Homan Square' protest gathered around 200 people outside the detention facility in the city’s West Side. “Hopefully with the presence we expect to have, that will put a little bit of pressure to say, ‘Hey, look – this isn’t going to go away,’” said Travis McDermott, one of the organizers of the protest, as quoted by the Guardian. Later, dozens of protesters marched through nearby streets. During Saturday's demonstration, organizers called on people to come forward if their rights have ever been violated by police. "We need you to come forth and tell us yes you have been a victim of abuse," one organizer said, according to USA Today. "Please come forward and let the people know so we can take some action." Anonymous took to Twitter, Instagram and other social media platforms with the hashtag #Gitmo2Chicago to draw attention to the so-called secret prison. “Torture soon coming to a city near you,” it stated. “This will not stand,” the collective said in a video message posted on February 27. According to the Guardian’s report, the compound houses military-style vehicles, interrogation cells, and a cage. People have “disappeared there” for 12-15 hours before being arraigned. The newspaper spoke to an alleged former suspect at the site and several local attorneys who reported the Homan Square compound was being used to deny people their Fifth Amendment right to due process and Sixth Amendment right to an attorney. What is this? RT "@vanaver8: No Gitmo in Chicago #Gitmo2Chicagopic.twitter.com/ZDXnySKR4l"
Activists also demand that posters informing people of their rights be placed at all Chicago Police Department facilities. "Everything that happens in this facility is off the books, so they can't prove that these things never happened," McDermott said. In its only official statement, the Chicago Police Department denied the Guardian’s allegations. Speaking to Chicago Tonight TV program, Mayor Rahm Emanuel said the report was not true. “We follow the rules,” he said. Activists are planning another demonstration, dubbed 'Reparations Not Black Sites,' which will be held outside Emanuel’s office on March 2.